Recovery breakfast from a long day of exciting events. Recharge with protein and a healthy carb. 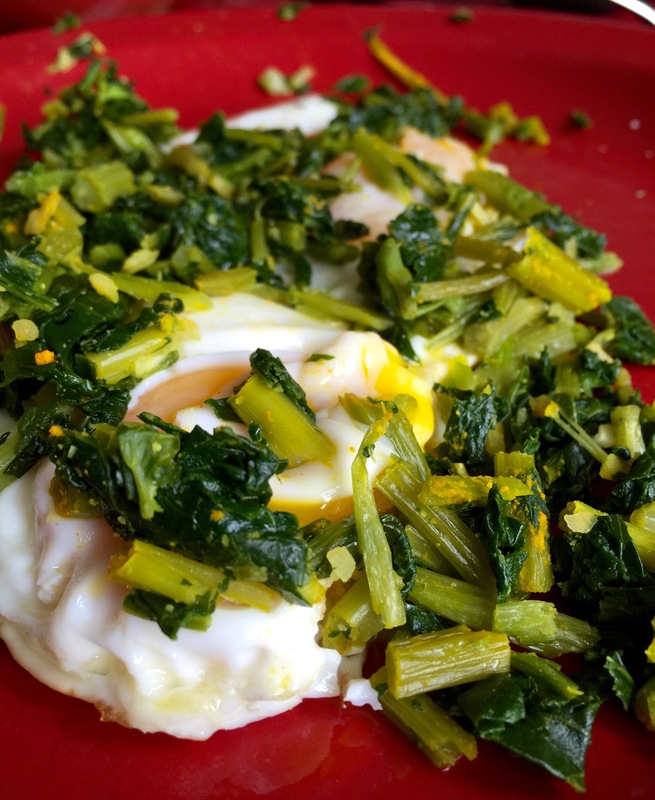 Organic eggs with steamed Kale. Himalayan Salt , garlic powder, turmeric , black pepper and olive oil.